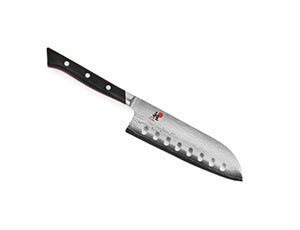 The Miyabi Fusion 5-inch Hollow Edge Santoku Knife is perfect for mincing, chopping and slicing fruits and vegetables. The durable VG-10 (600D) cutting core is sandwiched by 64 layers of softer steels, each rolled on top of each other creating a 'Flower Damascus' pattern. 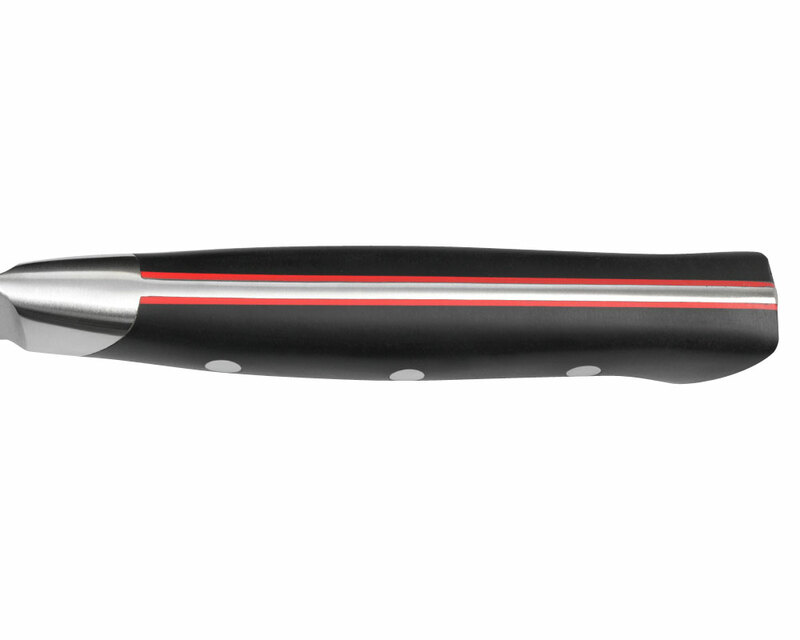 The VG-10 core produces a sharpness and cutting edge retention measurably superior to ordinary knife steels; a complex mix of Cobalt, Molybdenum and Vanadium. The blade is ice hardened using the CRYODUR process, which gives the blade optimal edge retention, flexibility, and high corrosion resistance. 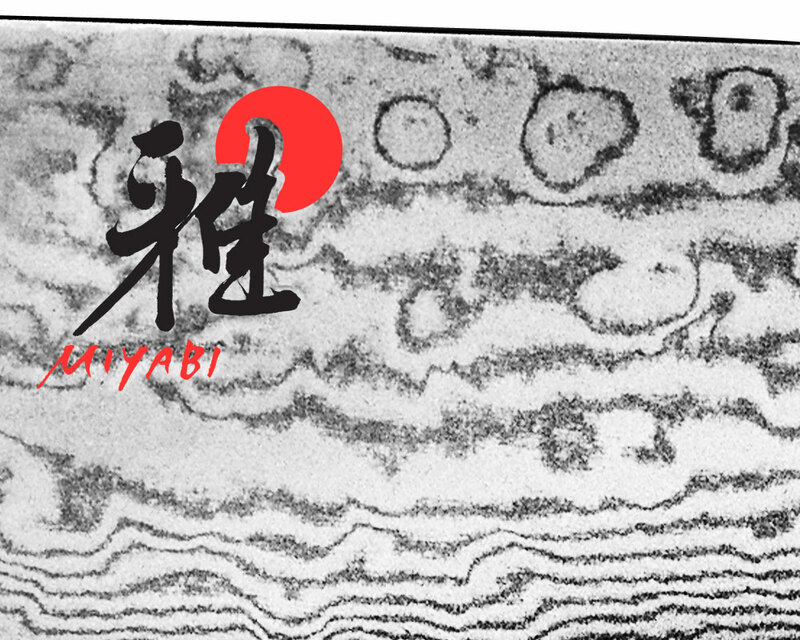 The Katana edge is hand-finished in the traditional 3-step honbazuke method, reminiscent of the ''Hamon'' of legendary Japanese swords. 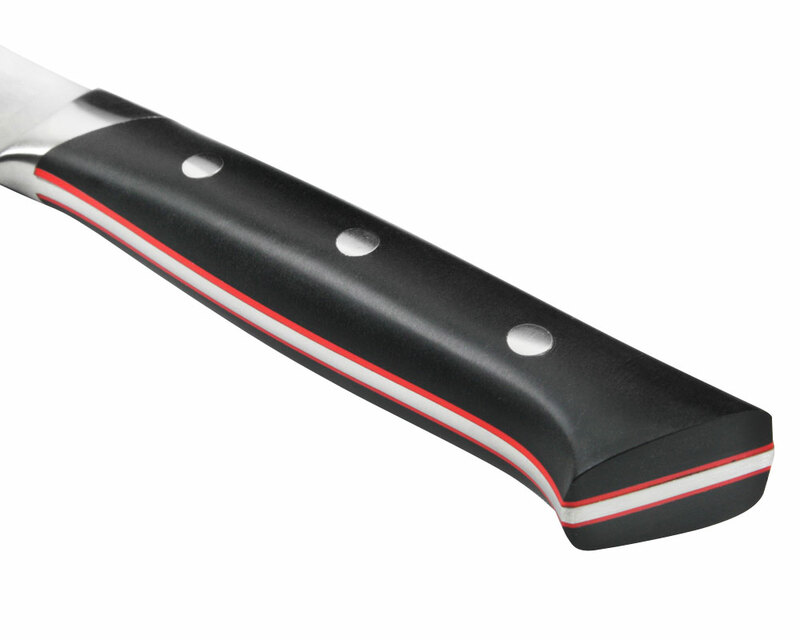 Featuring a triple-riveted Western style handle made from a black resin called Duracon, and a full tang with eye-catching red accents. 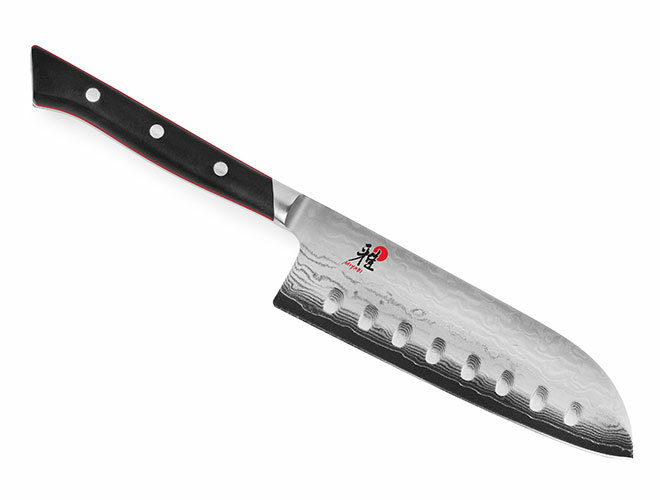 Sharpened to the traditional Japanese blade angle of 9 - 12 ° on each side, resulting in a scalpel-like sharpness. 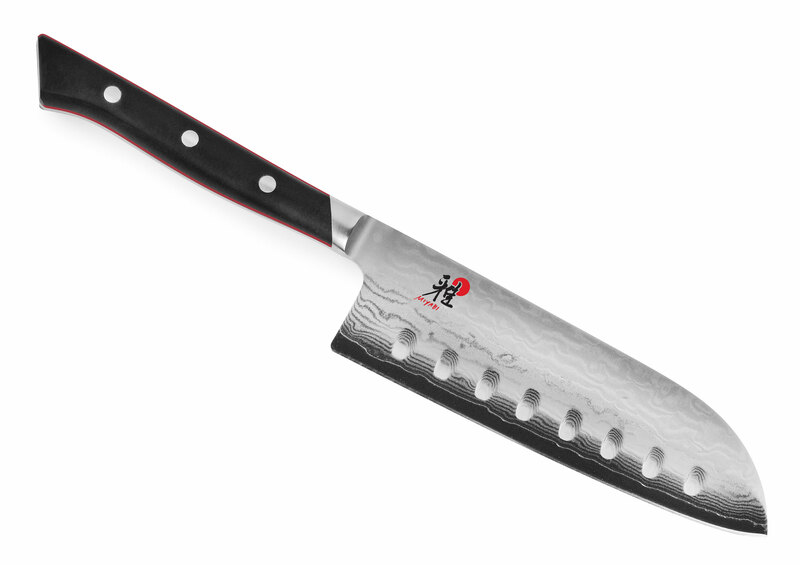 https://www.cutleryandmore.com/miyabi-fusion/hollow-edge-santoku-knife-p129085 29085 Miyabi Fusion Hollow Edge Santoku Knives https://cdn.cutleryandmore.com/products/large/29085.jpg 149.9500 USD InStock /Cutlery/Santoku Knives The Miyabi Fusion 5-inch Hollow Edge Santoku Knife is perfect for mincing, chopping and slicing fruits and vegetables. The durable VG-10 (600D) cutting core is sandwiched by 64 layers of softer steels, each rolled on top of each other creating a 'Flower Damascus' pattern. 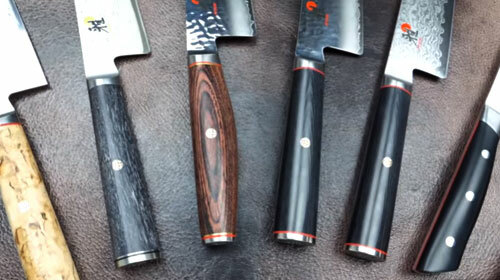 The VG-10 core produces a sharpness and cutting edge retention measurably superior to ordinary knife steels; a complex mix of Cobalt, Molybdenum and Vanadium. The blade is ice hardened using the CRYODUR process, which gives the blade optimal edge retention, flexibility, and high corrosion resistance. The Katana edge is hand-finished in the traditional 3-step honbazuke method, reminiscent of the ''Hamon'' of legendary Japanese swords. Featuring a triple-riveted Western style handle made from a black resin called Duracon, and a full tang with eye-catching red accents. 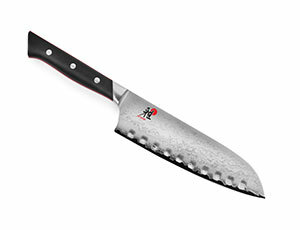 Sharpened to the traditional Japanese blade angle of 9 - 12 ° on each side, resulting in a scalpel-like sharpness.